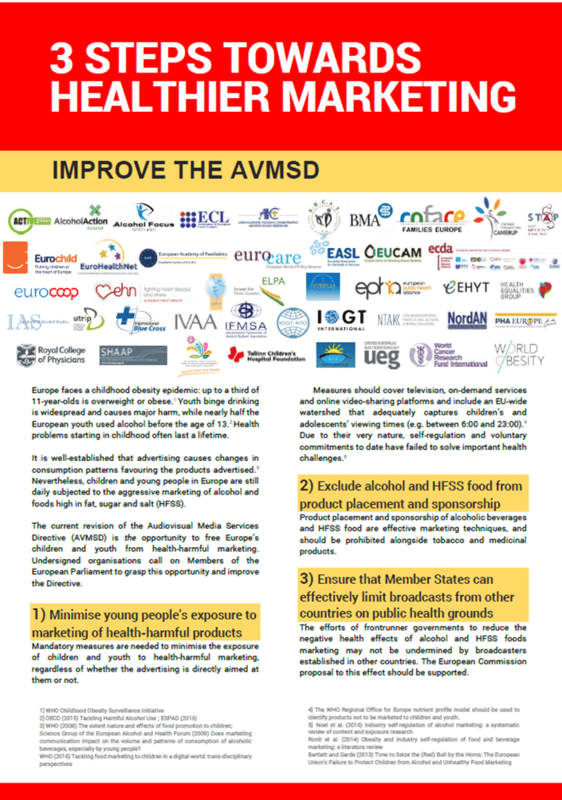 The current revision of the Audiovisual Media Services Directive (AVMSD) is the opportunity to free Europe’s children and youth from health-harmful marketing. Undersigned organisations call on Members of the European Parliament to grasp this opportunity and improve the Directive. 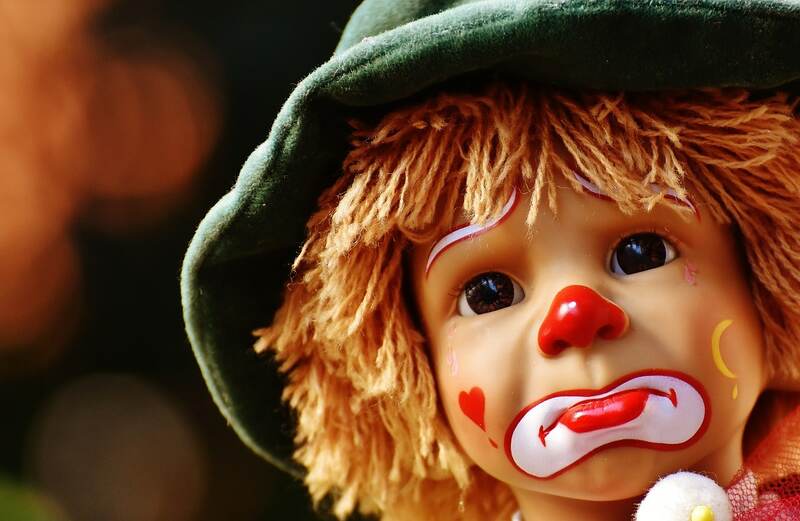 Mandatory measures are needed to minimise the exposure of children and youth to health-harmful marketing, regardless of whether the advertising is directly aimed at them or not. Product placement and sponsorship of alcoholic beverages and HFSS food are effective marketing techniques, and should be prohibited alongside tobacco and medicinal products. The efforts of frontrunner governments to reduce the negative health effects of alcohol and HFSS foods marketing may not be undermined by broadcasters established in other countries. The European Commission proposal to this effect should be supported.